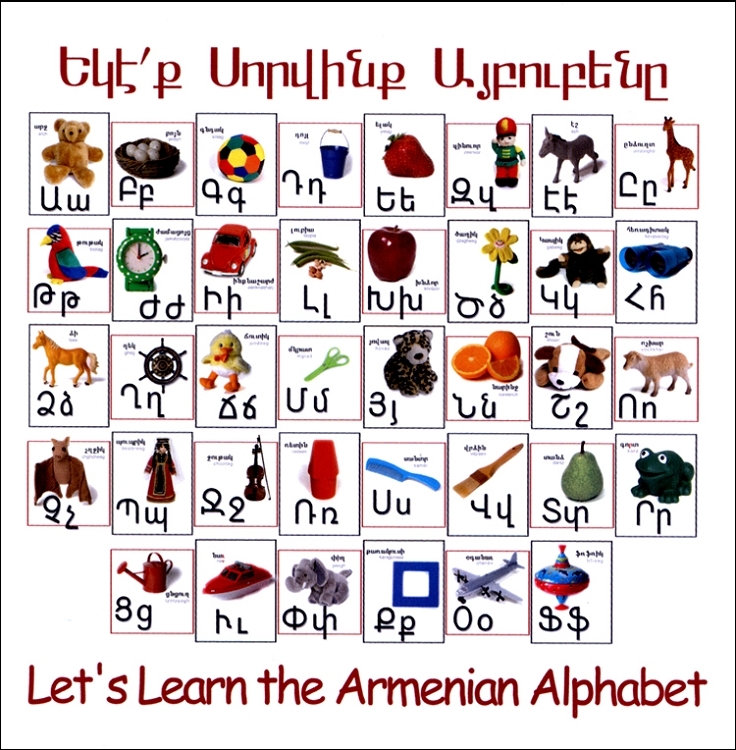 This computer program makes learning the Armenian alphabet fun and easy. It is perfect for children and fun for students of all ages. The CD-ROM will help learners familiarize themselves with the name and sound of each letter. It will also provide reading practice and lessons that teach basic vocabulary like numbers and colors. For Windows: Pentium or higher, double speed CD-ROM drive, 20 MB hard disk space, Windows 95 or higher.